There are several natural ways to treat the problem of varicose veins (spider veins) covering your face. The following remedies are readily practicable at your home giving the best results if reiterated time and again. Thus, a pure and clear skin is just a matter of your rich diet and no more an impediment to your desire of looking younger and beautiful. Though green tomatoes have scarce market availability but some marts and shopping stores do contain a stock of such raw vegetables. The presence of essential acids and other skin cleansing agents provide them with an effective capacity to repair your damaged skin. Just cut the tomatoes into thin slices and place them on your affected areas keeping it undisturbed for at least 3 minutes. Repeat the activity for at least 10 days or until you obtain the best results. Nowadays many people are growing aloe-vera plants in their own house gardens or look forward to purchase one for their day to day requirements. This jelly like substance has innumerable benefits. It can be either consumed orally or applied on your skin manually. Cool some aloe-vera leaves in your refrigerator and apply it daily on your face. Do not be scared as it will burn initially but the enduring capacity increases within 2-3 days. You can also clean your face with green or back tea before an aloe-vera facial massage for better results. Yet another amazing medicinal oil, it has bewildering properties of healing your skin from spider veins, pimples dark circles etc. Its anti-inflammatory and anti-oxidant properties render it reliable in nourishing, moisturizing and skin tightening. Apply it daily on your affected areas with gentle massage. You can use cotton pads to apply it below your eyes with easy dabbing. Results can be enhanced further by mixing the oil with a little amount of butter. This can indeed act as a natural moisturizer protecting your skin from harmful exposures. Just like grape seed oil, Vitamin E can also smoothen your skin and heal you off from the broken capillaries on your face. The major function of this oil is to prevent skin dryness and ensure your skin’s capacity of in taking moisture. Apart from treating spider veins, it is more helpful in stagnating its further growth and intensity to harm. 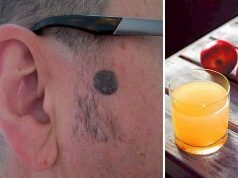 Thus, apply this oil at night just before going to bed and rinse it off right in the morning, the next day. Horse chestnut seeds are effective in enhancing the blood circulation of your body. The above seeds contain Aescin which is powerful in reducing varicose veins occupying your facial area. In addition, extracts of chestnut seeds are also healthy in sustaining your vascular health and killing the harmful foreign bodies which try to disturb your immune system. This extract can be applied by mixing it with grapeseed oil, olive oil, kiwi, calendula, and arnica oil etc. for better cure. 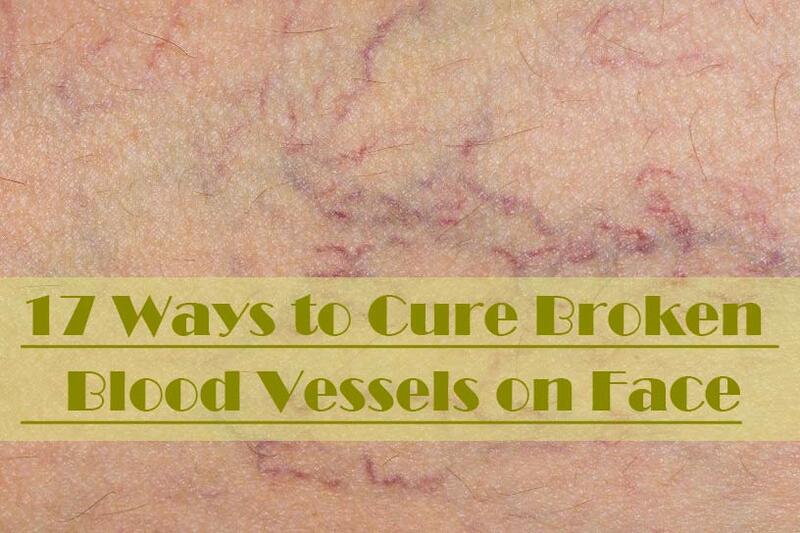 In order to get rid of broken blood vessels, it is important to increase the circulation of blood towards the facial cells which can thereby tighten your thinned up and clumsy skin. For this, raw manuka honey is one of the best solutions. This extraordinary honey is extremely beneficial in healing the redness of your face as it contains strands of hydrogen peroxide which is essential in curing your facial wounds by increasing the rate of blood circulation. Furthermore, if mixed with Barbary fig seed oil results can even be quick and better. One of the major causes of spider veins is the harmful exposure to U.V rays. Therefore, sunflower oil features as a significant agent in both preventing and curing the above problem. It acts as a natural sunscreen which can protect your face and body from excessive ultraviolet radiations. Results can be more effective if this oil is used together with mango butter or beeswax. Presence of Citric acid is generally found in fruits containing Vitamin C or its derivatives. Lemons and oranges can be undoubtedly bracketed under this category. Application of lemon or orange juice on the affected areas with the help of cotton balls can be extremely beneficial in reducing the redness of your skin as well as healing the broken capillaries present on your face. In order to increase the efficacy of your cure and get rid of spider veins, drink chamomile or peppermint tea regularly at least twice a day. The above flavors act as toning agents that can cool down the redness of your skin and provide it with further nourishment. A mixture of mineral salt and apple cider vinegar is yet again helpful in reducing the burning sensation that often might accompany your broken blood vessels. Eating mangoes and carrots can indeed be healthy as it is efficient in oxygenating your skin and revitalizing it by sustaining your lost facial zeal. The can also help in improving your skin texture and soothing you inside out. One of the traditional yet effective methods to get rid of broken blood vessels on your face is the use of parsley leaves. What you need to do is boil some parsley leaves with some milk and water. Further, apply the mixture formed on the infected areas of your face with the help of a napkin. Repeat this activity for at least 20 days or until you achieve the best results. Yet another beneficial oil in curing spider veins on your face is the regular application of rosehip oil. This particular oil has the capacity of efficiently treating skin disease like rosacea (one of the major causes of varicose veins) and inturn providing quick relief from facial redness and blemishes. One of the foremost qualities of this particular oil is its excessive richness in omega 3 and omega 6 compounds. The presence of the above strands renders it as an anti-inflammatory agent that further helps in removing the red blotches from your face. This oil can also be consumed orally with salads and juices for better results. If the problem of redness and broken capillaries is persistent, always wash your face with lukewarm water as one need to avoid extreme temperature conditions during such sensitive times. This method can help to heal you better. Sage milk can indeed benefit in treating the problem of broken blood vessels on your face. The above drink can be prepared by mixing some sage leaves and milk in some amount of boiling water. The above obtained mixture is to be applied on the affected areas of your face followed by rinsing with cold water and dry patting. Repeat this activity regularly for better results. 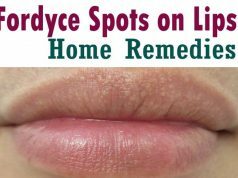 Though not an exact home remedy, but the application of makeup can help in reducing the visibility of red blotches on your face. However, this method of concealment is rather short-lived thereby increasing the necessity of long-lasting ones. Last but not the least, you should strictly follow a rich diet chart that can indeed immune your body from the attack of unwanted antigens. This can further aid in preventing skin problems like Rosacea and others and finally the getting you rid of broken capillaries on your face.